Congratulations! You’ve worked hard and built an impressive online marketing system. You’ve harnessed the power of social media, email marketing and SEO/SEM to drive traffic to your website and build brand awareness. You wisely stay in touch with your current customers with the goal of winning those very important repeat sales. You’re using solid content marketing and copywriting techniques to give your message more persuasive power. But there is an additional, very important step you must take if you are going to enjoy the highest conversion rate possible. Without this, much of the traffic you’ve worked so hard to attract will hit your website or landing page and leave almost immediately. Without this, the amount of online marketing success you enjoy will always be quite a bit less than it could be. So what is this all-important step you do not want to overlook? It’s simple: you need to create, test and optimize your content and copy headlines. A solid headline can seriously boost the success level of an online marketing message. It grabs and focuses your reader’s attention. It makes him want to read your message. It “sets the stage” and the emotional tone that will make conversion more likely. Without a decent headline, you can have the world’s most persuasive message, but chances are it won’t get read, and your marketing campaign just might crash and burn. Still not convinced copywriting headlines are all that important? “If you have a good headline, you have a good ad. John Caples retired in 1982, at the age of 82; his heyday ended many years ago. But much of his copywriting advice is still valid today. And attention-grabbing headlines are arguably even more important now, in the Internet/smartphone/social media era where we are deluged with content, than they were 50-60 years ago. Great headlines are important for your online marketing success, and nowhere are they more important than on your landing pages. Today, let’s talk about how you can “jazz up” your landing page headlines. 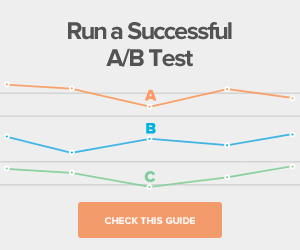 Follow these steps and you just might enjoy a much higher conversion rate. And here’s an added bonus: the tips work on headlines and titles in your other online marketing pages as well, not just on your landing pages! When you are reviewing your landing page headlines, put yourself in your reader’s shoes and try to think like he does (this is a good practice for every part of your online marketing messages). If he’s on your landing page, it probably means he clicked through from somewhere else, perhaps from one of your emails, a PPC ad, or your homepage. Chances are he’s at least somewhat interested in what you are offering. He took the time to click the link, visit your landing page and find out more. If you’ve built “sales momentum” up to this point, you’re on the right track. But your work is far from over. Your reader clicked through, and he’s probably quite interested, but he’s also probably quite nervous. He most likely has this sneaking suspicion that you’re about to try and sell him something. Your landing page can either keep the momentum going, or it can extinguish it like a bucket of water dumped on a burning candle. One of the key things you can do to keep the momentum going is to put a compelling headline on your landing page. Though a great headline keeps the momentum going, and hopefully lifts it even more, and even though it “sets the stage” for the reader to be more interested in your landing page content and convert, its main job is much simpler: get the first sentence read. The first sentence’s main job is to get the second sentence read, and so on. This is what we in the copywriting world call the “slippery slope”. We want the reader to start at the top of the sales letter and read and digest it effortlessly and enthusiastically until he reaches the bottom and gladly accepts your call to action. To discuss all the steps involved is beyond the scope of this article, but one of the first steps is to post a great headline. When readers are curious, they naturally want to find out more – they want to keep reading! They like it when you tell them how you can benefit them. And when you promise them something NOW! just for reading your content, they find that almost irresistible. When you combine curiosity plus benefit plus instant gratification, you have a sizzling landing page headline! A moment ago, I mentioned “sales momentum”. 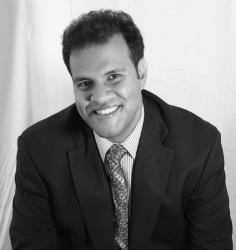 It’s important that you build this early in your online marketing approach and keep it not just going but increasing. One way to do this is to ask a series of questions naturally leading to the sale, a series of questions to which the only logical answer your reader can give you is “YES!”. As with every other part of your online and offline marketing, you want to constantly be testing your landing page headlines; why not try out some headlines that ask a question related to the reader buying the product, questions for which the only logical answer is “YES!”? Don’t forget the emotional aspect of effective landing page headlines and of marketing in general. People make buying decisions based on emotional factors, to one degree or other. The things they get emotional about are things you can get their attention with. So if you want to create powerful headlines for your landing pages, leverage the power of emotion. A powerful headline is a key component of a high-converting landing page. Combine it with great message copy and content, effective design and relevant, emotion-generating images, with captions, of course, and you’ve got the basis for a high-converting landing page. But why not take it a step further? Why not give yourself an online marketing “unfair advantage”? 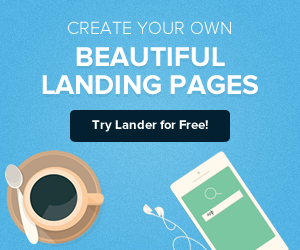 Why not try out a state-of-the-art landing page template from Lander? Lander has been specifically designed and engineered to help you enjoy a higher conversion rate – i.e., more sales! For example, speaking of headlines, Lander templates feature very noticeable headline areas to help you capture and focus readers’ attention. Lander has a built-in countdown timer; sales with a definite end date are a powerful psychological motivator that can lead to a higher conversion rate. Do you run a local retail business? Lander comes standard with Google Maps integration to help shoppers find your location easily. And to help you close more sales and make it easier for your buyers at checkout, following that “sales momentum” you built up, our templates offer you PayPal integration. You are busy, maybe even overwhelmed, trying to keep up with all the details of running your online marketing operation. 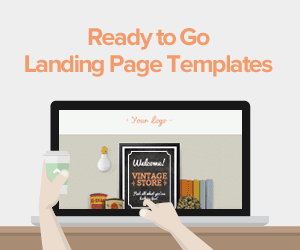 You don’t have the time, the energy or the desire to try and learn how to set up a landing page “the old-fashioned way”. That’s one more reason you’ll love Lander. 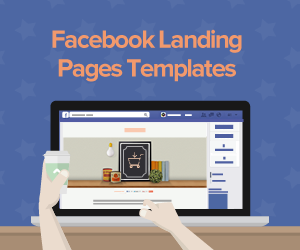 Our landing page templates are a breeze to set up and a snap to maintain! And here’s the Lander “feature” you just might like the most: you can try out any of our templates and very reasonable pricing programs free for up to 30 days, no credit card needed! So try Lander today!